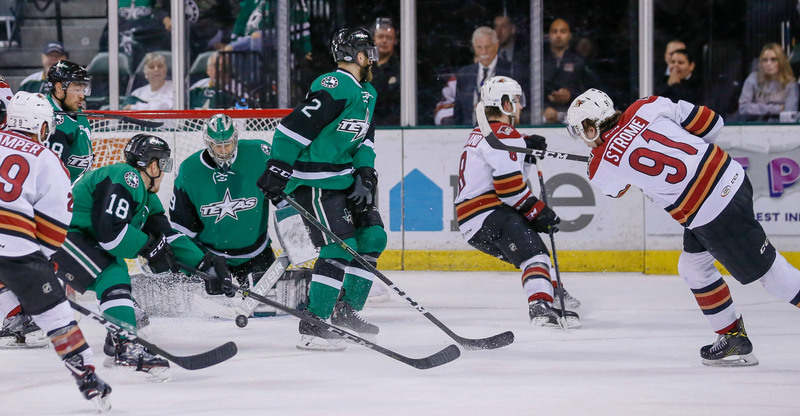 The Roadrunners fell to the Texas Stars by a 2-0 score Wednesday night at the H-E-B Center at Cedar Park, held scoreless for just the second time all year. With the loss, they now trail 3-1 in their Pacific Division Finals series. The Stars buried both of their goals in a 3:17 minute span in the second period. Texas’ Mike McKenna turned away all 27 shots he faced. The Roadrunners dropped three consecutive contests on only one previous occasion this year, a stretch of games from December 9-13. They have lost the last three of this series after winning Game 1 in overtime. Adin Hill stopped 26 of the 28 shots he faced in the loss. Dylan Strome finished with a team-high six shots on goal, and has a total of 30 through the team’s eight playoff games, which is the most among AHL rookies. 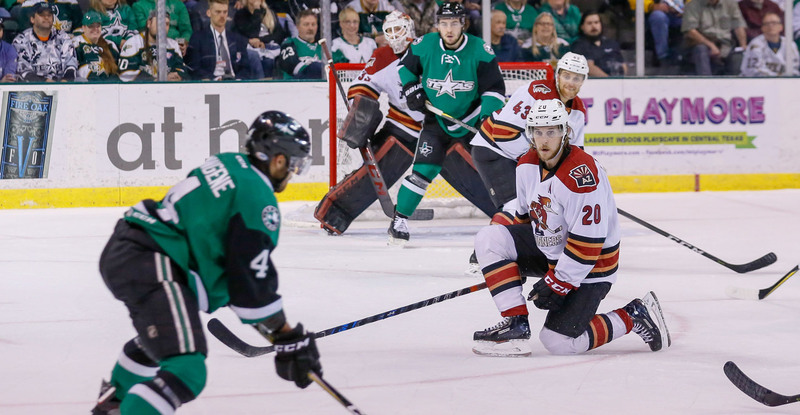 The teams will meet Friday night for Game 5 at the H-E-B Center, where the puck is scheduled to drop just after 5:00 PM MST.